Keep checking back for new horses for sale! We also have more horses for sale than on our website. Please contact us for information on these horses. 1) Pepsis Gold Reward - SOLD! Flashy well put together colt. He has the looks, disposition and will do well in shows or trail. 2) Pepsis Two Eyed Badger- SOLD! This colt has a nice personality and will be big. Dam is over 16 hands. 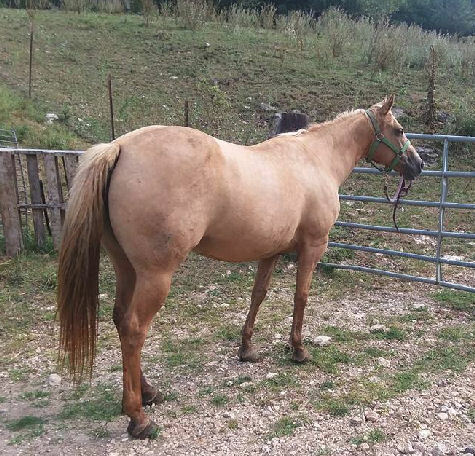 Trail, reining, working cow horse, cutting prospect. 3) Pepsis Coal Miner SOLD! Nice put together filly with a good disposition. She will be big. 4) Pepsis Bandit - SOLD! 5) Pepsis Mystic Mount - SOLD! A really flashy good colored colt with awesome bloodlines. If kept a stallion he will throw 100% color, as he is homozygous for tobiano. Mystic Chic(Grand & Reserve Champion), Qts Paw Prints (World Show Finalist), Pepsi Poco (Leading Sire), Q T Poco Streke (Reserve World Champion) on papers. Also, MK's Black Pepper and Q Ton Ace H just off papers. Gentle and easy to handle. Looks, bloodlines and DNA all in one colt. 6) Pepsis Last Image - SOLD! He will be 15.3 - 16hh. Image is laid back and built good. He has a very nice personality. Very gentle and ready to be started your way. 7) Hollywoods Blackburn - SOLD! Honey is very friendly, easy to catch and load. She loves attention and is your pocket kind of horse. Is about 14.1 hands. She is broke to ride, but not ridden much this year. Last year was used in gymkhana and has been trail ridden. Has had foals but is open for your choice. She is sound and healthy. Her bloodlines are good solid quarter horse blood. She has a really nice dappled color. homozygous for tobiano and 5 panel negative. Apache has great bloodlines. hands and will be stocky. Sparks is friendly, easy to catch and handles well. 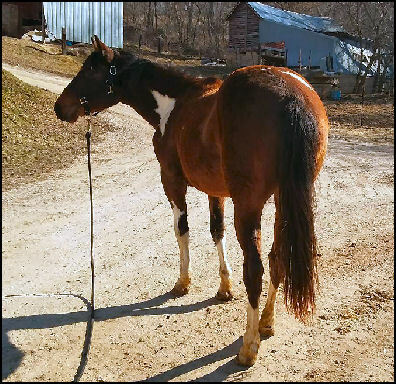 He would make a very nice gelding also for trail, 4-H or show prospect. SOLD! Streke is going to be a nice shapy big boy. He should mature around 15.3 hands. He is friendly, calm and quiet. He would make a very nice trail, 4-H or show prospect. Streke is great to be around and handle. He is 5 panel negative.